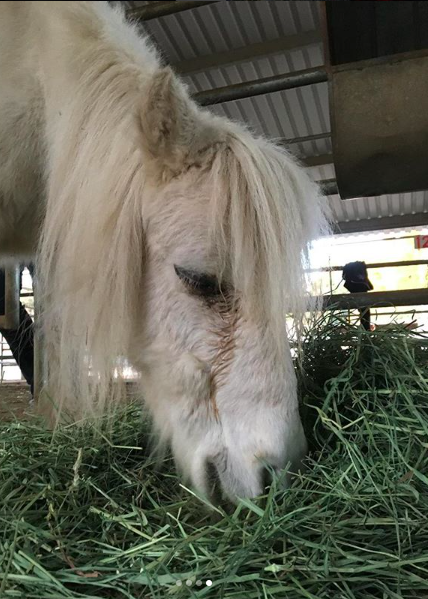 Yesterday, the @hsvc_ojai staff rescued two more horses and six dogs from the same property in Camarillo as the four horses saved a few posts back. They all need immediate medical care, farriers, and time to heal and recover from horrendous living conditions. I was lucky to be onsite to see this little mini girl as she was being unloaded. She is just one of the two horses, approximately 20 years old and possibly blind in one of her eyes. Her hooves are so overgrown that she wobbles when she walks, teetering back and forth and almost falling over. It’s painful to watch. She is skinny, sick, and will need months of care for a CHANCE at a happy future and to live the rest of her life with love and dignity. She was seized from the property, so she is also part of the ongoing investigation. Please consider donating towards their veterinary care, it’s needed now more than ever.